1. 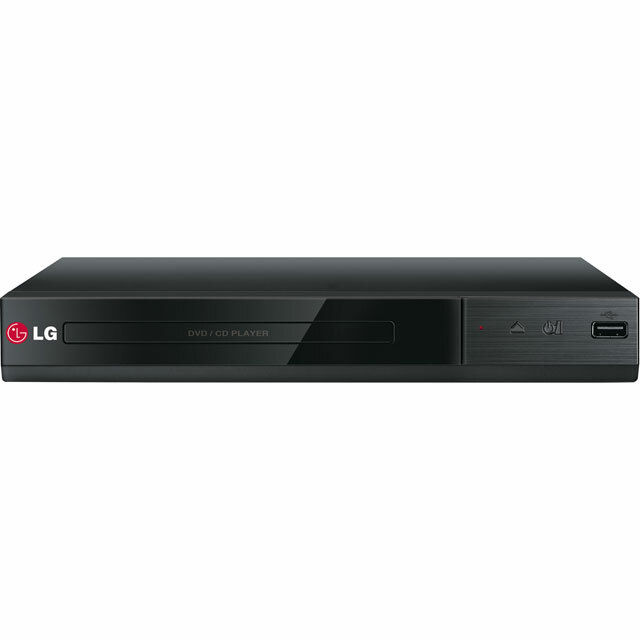 LG DP132 DVD Player - Black. 2. Emergency Jump Start Power Pack. 3. EGL 7" Portable DVD Player. 4. One for All Smart 8 Remote Control URC7980. Easy to set up in just 30 seconds, easy to use and with large keys, this remote can easily control eight devices, including your Smart TV, Satellite box, Freesat/Freeview, Xbox One/360, Blu-ray player, Sound bar, Apple TV, DVD player, and over 1,500 other types of connected devices. You can use the app to trigger a sound if you've lost your remote too. And while the Smart 8 can be fully set up on the remote itself, you can download the convenient free setup app for Android and iOS devices, which is updated by One For All regularly with the newest devices to help you set up easily.Comes with a free 2 year guarantee for more peace of mind.Requires 4 x AAA batteries (sold separately). 5. One For All Contour Universal Remote Control. 6. Akai 10" Portable DVD Player with 2-in-1 Carry Bag. 7. Akai 7" Portable DVD Player with 2-in-1 Carry Bag. 8. Essentials Multimedia Laser Lens Cleaner. Keep your computers and DVD players working in tip-top condition with the Essentials Multimedia Laser Lens Cleaner. Dust accumulating on the laser lens can hamper your disc drive's performance. Simply insert the disc with the brushes facing downwards, play for a few seconds and the spinning of the disc will clean the laser lens quickly and efficiently to keep your devices working as perfectly as possible.Please note: disc is only compatible with top-loading players. 9. Logik Scart Cable - 2 M, Gold. Thanks to gold-plated connectors and a fully moulded form, you can enjoy reliable connections with the Logik SCART Cable. This 2 m SCART cable is ideal for linking your home entertainment devices like a DVD player, set top box or home cinema system to your large screen TV. Enjoy an enhanced signal transfer when linking components with the Logik SCART Cable. 10. Sandstrom Av Black Series Scart Cable - 3 M, Black. Enjoy a connection you can count on with the 3 metre Sandstrom Black Series Scart Cable.Classic cablingThe Scart Cable features a gold-plated connector at each end that slots comfortably into your TV and DVD player.It's three metres long, giving you plenty of room to manoeuvre as you send it behind your display cabinet, along a section of skirting or between devices on a TV stand.Strong, high-quality cableWith its industrial-standard structuring and connector design, the Sandstrom Scart Cable is durable enough to last for ages, fit tightly and perform consistently.Its gold-plated connectors minimise signal loss so that you can enjoy excellent picture and sound quality from a single cable.Choose a Sandstrom Black Series Scart Cable to complete your AV setup. 11. John Lewis & Partners Gold Plated SCART Cable, 1.5m. This John Lewis & Partners SCART cable will transmit video and audio between SCART sockets on a TV and another device, for example, VCR, DVD player or standard definition set top box. Its gold plating will prevent corrosion and provide better conductivity, giving you a better quality of picture and sound. This cable is robustly constructed, reducing the risk of damage from repeated removal of the cable from a socket. 12. Avf Psl911 Tv Mount, Black. Top features: - Adjustable back panel allows you to choose what most suits your room - Sturdy and reliable support Adjustable back panelWhether you have an ultra-modern living room or a more traditional home, this AVF PSL911 all-in-one TV mount allows you to adjust the back panel and choose between black, white oak or walnut finishes.Study and reliableSupport larger TVs from 30 and 55 inches with a maximum weight of 45 kilograms, with also plenty or space to store you DVD player or your Sky box on the shelf too.Start watching sooner as the no-hassle installation includes instructions and all fixings. 13. Panasonic Sc-hte80eb-k Wireless Soundstage, Black. 14. Sony Ht-ct290 2.1 Wireless Sound Bar. Top features:- Power and clarity for your entertainment with 300 W of 2.1 surround sound- Bluetooth makes streaming music easy- HDMI and optical connections for flexibility when connecting to other equipment- Stylish design that fits seamlessly into your setupPower and clarity for your entertainmentWhether it's a fast-paced action film, widescreen wildlife documentary or epic live concert video, your entertainment needs big surround sound with clarity.The Sony HT-CT290 2.1 Wireless Sound Bar packs 300 W of power to fill your living room. Hear more detail with clean-sounding, end-mounted drivers - the wireless subwoofer takes care of the low end and atmosphere. Experience more from your entertainment as S-Force PRO Front Surround technology creates a cinematic feel in your home.BluetoothHear your music collection in high quality. You can stream songs directly from your smart devices to the HTCT290 via Bluetooth - it's great for relaxing with a favourite album or adding spontaneity to social gatherings.HDMI and optical connectionsConnect the sound bar to your TV with just one cable using the HDMI ARC (Audio Return Channel) port. The optical input lets you experience high-fidelity sound from your Blu-ray or DVD player.Stylish designComplete the look of your home cinema setup with the CT290. Its slim frame complements the rest of your setup. Wall mount it to save floor space and create a cool accent, or lay it flat under your TV for a more traditional setup.The wireless subwoofer can be positioned wherever's convenient in your lounge, so you can avoid cabling clutter without compromising on its rich bass definition. 15. Sony Dvpsr170b Dvd Player. Offering DVD playing simplicity, the Sony DVPSR170B DVD Player is ideal for secondary rooms such as guest rooms or for kitchen viewing. The DVPSR-170B has a compact size of 270 mm that makes it ideal for placing in your kitchen or bedroom. It offers functions such as fast and slow playback and can playback multiple formats, including Xvid, MP3 and MPEG files. With a 1 year warranty for added peace of mind, the Sony DVPSR170B DVD Player is perfect for additional entertainment anywhere in your home.